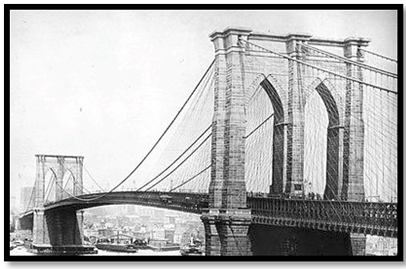 Baked in Brooklyn® Snack Sticks, Pita Chips and Flatbread Crisps are not as famous as the Brooklyn Bridge yet, but give them time! ​Baked, NOT fried! Baked in Brooklyn® wouldn't have it any other way. Baked in Brooklyn® offers a 12 month shelf life. 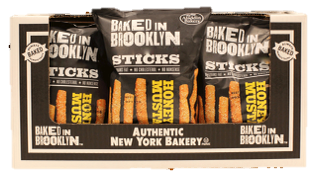 ​Baked in Brooklyn® Snack Sticks are flash-baked at 450°Farenheit for maximum crunch, and they’re ready for anything. Try them straight up as a wholesome snack. Or match them with creamy dips, savory spreads or a good schmear. Baked in Brooklyn® Pita Chips are always baked—never fried. Try them on their own or with your favorite dips, spreads and toppings. Baked in Brooklyn®​ started over 40 years ago in the best borough in New York City by making just one product, pocket Pita Bread. Today the company is mixing traditional Old World recipes with 21st century flavors to bring you Baked in Brooklyn® Pita Chips, Flatbread Crisps and Sticks. The mission is to bake the absolutely best tasting snacks using only the finest quality ingredients. 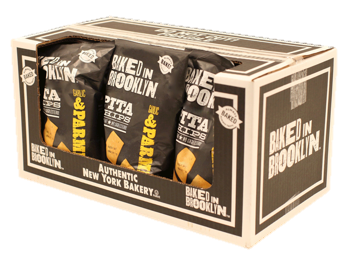 Baked in Brooklyn® snacks are big on flavor and wholesome with no trans fats, no cholesterol and no preservatives. Today Baked in Brooklyn® is located in Greenwood Heights, Brooklyn, a classic NYC melting pot neighborhood. And Baked in Brooklyn® never sleeps. The state-of-the-art bakery runs 365 days a year, making the Baked in Brooklyn® snacks as well as fresh pita, baguettes, boules and more. The bakery is an local community anchor. ​All Baked in Brooklyn® products are O.U. Parve Kosher. The bakery is SQF audited for Sanitation and Food Safety. This voluntary program assures that your breads come from one of the finest facilities in the world. You’ve tried the competition and now it’s time you tried the best. 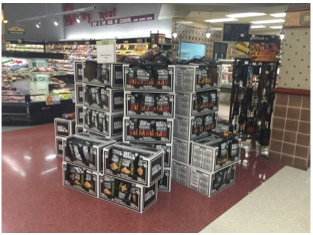 Baked in Brooklyn® chips and crisps are not at all like the competition, as we wanted better! Are your products really baked in Brooklyn? Of course! For over 40 years, Brooklyn has been the company's home. Are there peanuts or tree nuts in your bakery? No, there are no peanuts or tree nuts in the Baked in Brooklyn® bakery. Is there a Baked in Brooklyn PowerPoint presentation I can review? Yes. Contact us and we will be glad to provide it upon your request. Yes. All Baked in Brooklyn® products are O.U. Pareve Kosher. No. All Baked in Brooklyn® products contain wheat. ​*Speak to our sales team about modified packaging / presentation options available to meet local customs regulations when required.